Intel has revealed its 8th-generation Core processors (Coffee Lake S) for the desktop which will go on sale come October 5, including new mainstream Core i5 CPUs which run with six-cores (for the first time ever), and a Core i7 model which the company says is the best gaming processor it has ever produced. The latter is the Core i7-8700K which is capable of turbo boosting to 4.7GHz out of the box (via Turbo Boost 2.0). This is a six-core (12-thread) CPU with a base clock of 3.7GHz and 12MB of cache (it’s also unlocked for overclocking, as the ‘K’ denotes). It has a TDP of 95W. In comparison to its Kaby Lake predecessor, the i7-7700K (quad-core), Intel claims that it can achieve up to 25% more frames per second in Gears of War 4. And under PlayerUnknown’s Battlegrounds, when gaming, streaming and recording (i.e. under very heavy load), the new chip is up to a whopping 45% faster than its predecessor. The new i7-8700K will come with a suggested price of $359 (£265, AU$450), and there’s also a Core i7-8700 (non-overclocking) version with a lower base clock of 3.2GHz and turbo to 4.6GHz (and a TDP of 65W) which will weigh in at $303 (£225, AU$380). Moving on to the new Core i5 offerings, these are both six-core, six-thread models, led by the Core i5-8600K which has a base clock of 3.6GHz and turbo to 4.3GHz, with 9MB of cache and a TDP of 95W. Intel has priced this chip at $257 (£190, AU$325). That’s backed up by the Core i5-8400 which drops the base clock to 2.8GHz with boost to 4GHz and a lower TDP of 65W. This will be pitched at $182 (£135, AU$230). As well as the Core i5 stepping things up to six-cores (from quad-core), there’s been movement with the entry-level Core i3 CPUs which are now quad-core (as opposed to their predecessors which were dual-core). 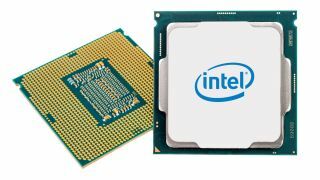 Intel has introduced a pair of new quad-core (four-thread) processors led by the Core i3-8350K which has a base clock of 4GHz, 6MB of cache and a TDP of 91W. It’s followed by the Core i3-8100 which lowers the base clock to 3.6GHz and TDP to 65W (there’s no boost with these chips). These will be priced at $168 (£125, AU$210) and $117 (£85, AU$145) respectively. Intel is also promising better overclocking from the unlocked 8th-gen CPUs which will offer per-core overclocking and other goodies including real-time memory latency control and extended PLL trim controls. As previously rumored, all these processors will need a new motherboard using Intel’s Z370 chipset, which the company notes provides the ‘improved power delivery’ necessary for the six-core processors to achieve their optimum performance levels. So if you want one of these new chips, you’ll also need to buy a new motherboard. These processors will be available from next Thursday, so there’s not long to wait now if you want to make the move to a relatively affordable six-core chip with Intel. Of course, this latest generation of processors pushing the boat out in terms of cores seems like a natural move from Intel, given how far AMD has been driving ahead with multi-core Ryzen CPUs.